Inaugural Address delivered by Franklin J. Moses, Jr.
Like his mother and his wife, Franklin J. Moses, Jr., was a practicing Christian. He was tarred, nevertheless, with an anti-Semitic brush once he allied with the Radicals. The scurrilous legend inscribed around the photo shown here, for example, reads “Judas Moses who raised the Confederate flag on Fort Sumter.” Reviled as a traitor to the South, he was denounced for fraud, corruption, and consorting with blacks. To distance themselves from the “robber governor,” members of the Moses family changed their surnames to DeLeon and Harby. 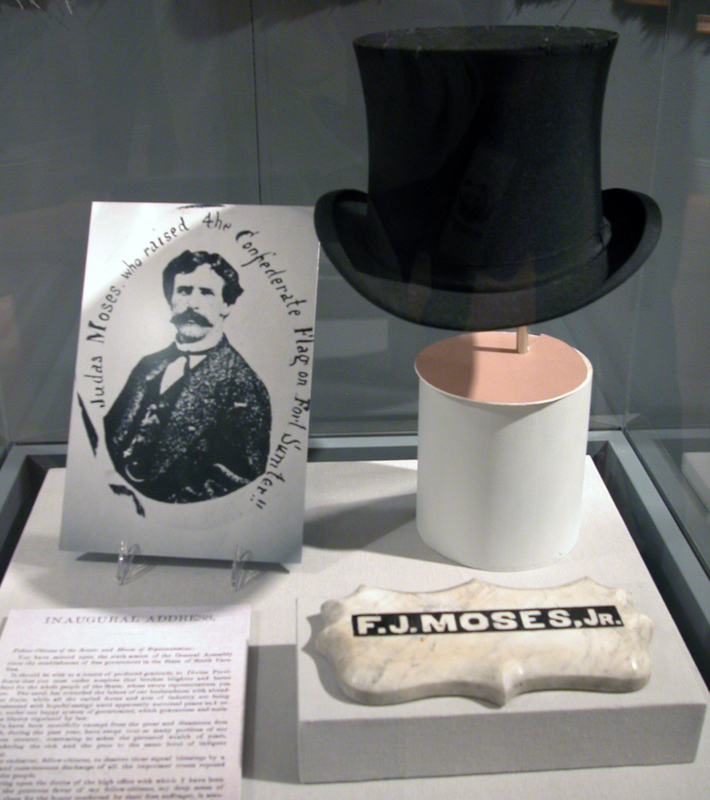 After falling from power, Franklin Moses, Jr., sought asylum in the North and died in poverty in Worcester, Massachusetts, an apparent suicide.